80 cu ft aluminum scuba tank comes with a Genesis K-valve, and VIP sticker. No air in tank due to shipping; certification is required to get filled. Call for details 1-800-732-9685. Not all colors are available in certain sizes. 100 Cuft. 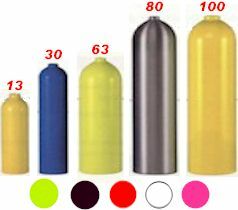 Aluminum Scuba Tank, comes with a K-Valve, Vis+Inspection Sticker ( no Air in tank due to shipping, Certification is required to get filled) Call for Certification Details 1-800-732-9685. Steel High-Pressure Dive Tanks. Smaller size than aluminum tank of the same volume. 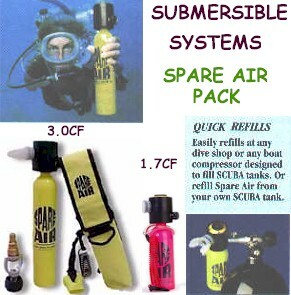 (No Air due to shipping, requires SCUBA Certifcation for Filling).